The newly redesigned website of Cherry Mobile revealed several upcoming devices, like the Omega Touch XL, Omega Touch 3G and the latest one is the Cherry Mobile Spin 3G. 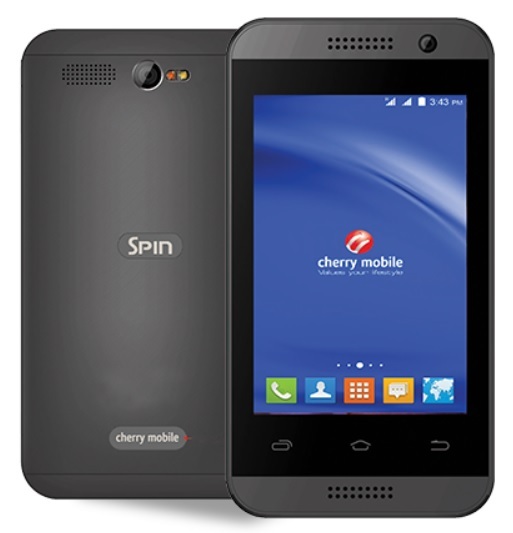 The Cherry Mobile Spin 3G is an entry-level smartphone for those who are tight on budget, but looking for a phone that can go beyond the usual calls and tests. It sports a 3.5-inch capacitive touchscreen display with HVGA resolution, which translates to around 165 pixels per inch. On the inside, it is powered by 1.3GHz dual core MediaTek processor coupled with 512MB of RAM and 512MB of expandable storage. This dual SIM device supports high speed data connection via 3G, but if you have no data plan, you can always switch to its WiFi connectivity. It also comes with 2MP main camera with LED flash, VGA secondary camera, 1200mAh battery and runs on Android 4.4 KitKat. It is now available nationwide and has an affordable price tag of Php1,699, which is very reasonable for what it has to offer.